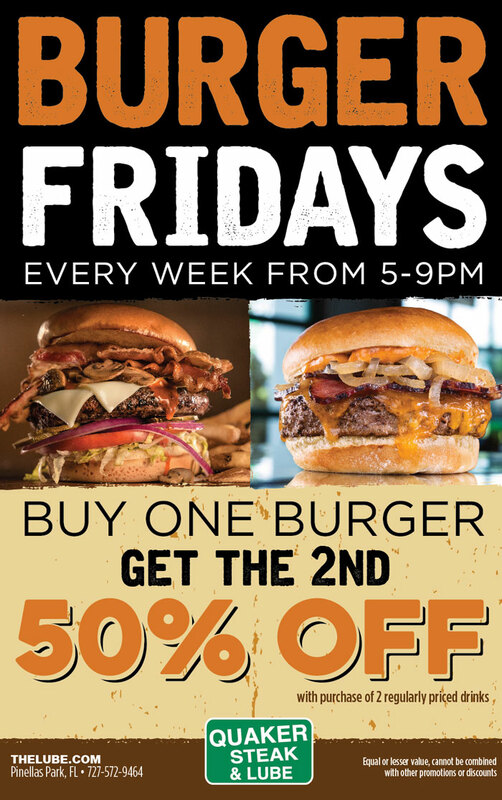 Burger Fridays At the Quaker Steak & Lube® Restaurant In Pinellas Park, FL! Buy Any Half Pound Steakburger and get the second 50% off with purchase of two regularly prices drinks! Every Friday from 5pm to 9pm.